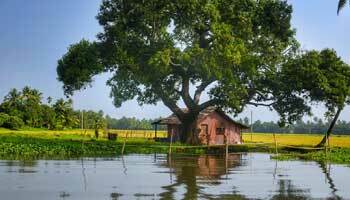 Kumarakom- A small paradise surrounded by mini islands on the Vembanad Lake which adds up to the beauty of Gods Own Country. 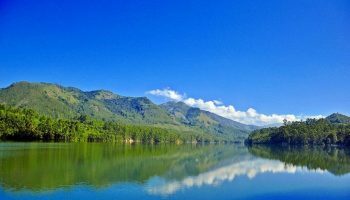 It is really a mesmerizing vision to see the beauty of Kerala by just having a small ride on the houseboat and experiencing the nature very close to you. 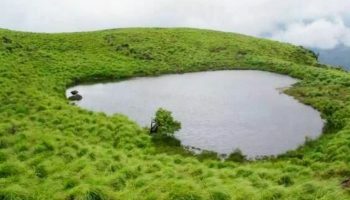 One of the main attractions for the visitors is the Kumarakom Bird Sanctuary, Bay Island Driftwood Museum, Vembanad Lake, Pathiramanal Island. Tariff - Rs.1750 to Rs.2250 Top 10! Tariff - Rs.1500 to Rs.2200 Top 10! Tariff - Rs.2000 to Rs.2500 Top 10! Tariff - Rs.2500 to Rs.3500 Top 10! Tariff - Rs.2500 to Rs.3000 Top 10! Tariff - Rs.3600 to Rs.6000 Top 10! 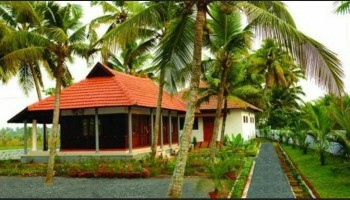 The Best in Budget Homestays of Kumarakom. We have handpicked the best for you. 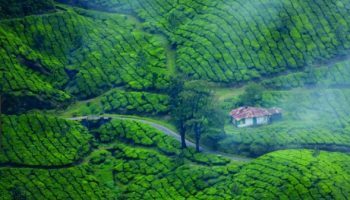 Need more facilites than budget Homestays can offer? 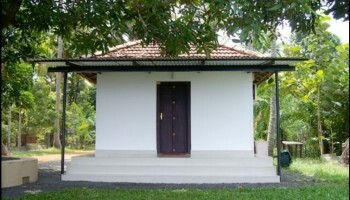 Checkout our deluxe Homestays. Ready for the ultimate fun and amnesties? 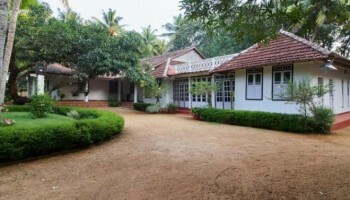 Then here is the best out of best - Homestays. The cuisine here is largely Syrian Christian in style which also influences the food culture. 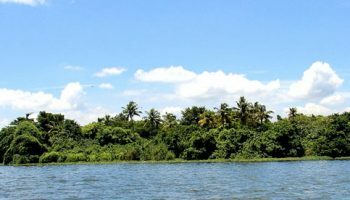 You can find Appam– a rice bread, Kappa (tapioca), Karimeen– a very exotic fresh water fish, and other seafood such as shrimps, prawns, crabs and squids that are famous in Kumarakom. 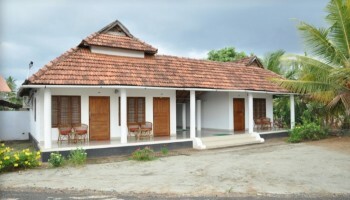 Kumarakom Homestays gives you to choose a stay among different categories,i.e., cheap homestays, budgeted stays, luxurious homestays, traditional style homestays, modernized stay, Honeymoon Homestay, Stay in tents,etc. 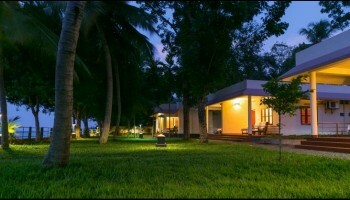 A perfect destination for your holidays to spend with homely care and to refresh your mind with the tenderness of nature. 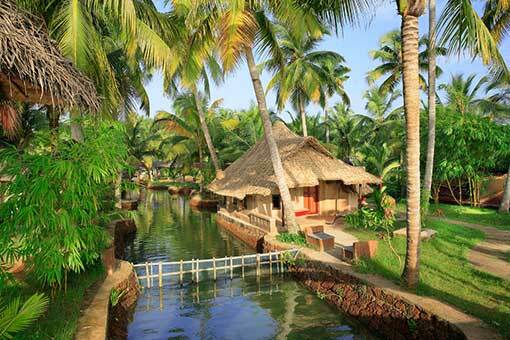 Kumarakom is well known for backwaters and houseboat. 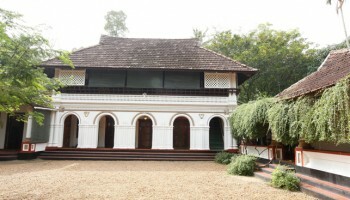 The houseboats you find in the backwaters of Kumarakom are in fact a reworked version of the Kettuvallams of olden times. 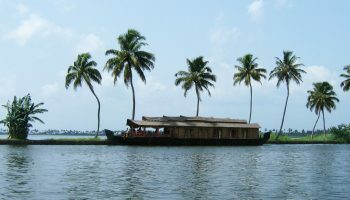 Kettuvallam is a Malayalam word, ‘Kettu’, refers to dwelling structures and ‘Vallom’ means boat. 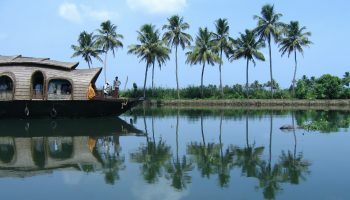 In the olden days, kettuvallam or boat with thatched roof that covers over wooden hulls was used to carry tons of rice and spices. 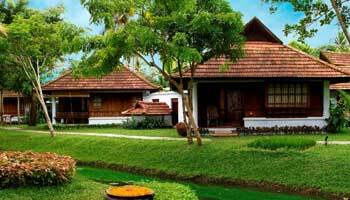 Kumarakom is also known as the traditional business hub of Kerala. 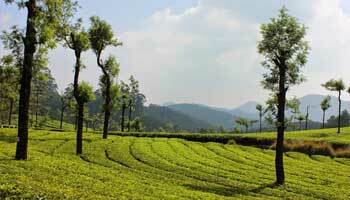 Kumarakom also has other tourist attractions and points of interest in the form of old temples and religious places.